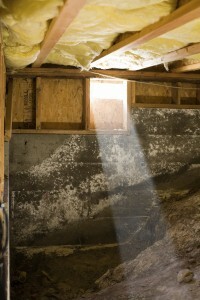 There are many reasons to need crawl space cleanup in Portland and surrounding areas. With the nearly constant moisture in the Portland Metro area it is easy for mold and mildew to take hold. Once it does it spreads fast, causing structural damage and a potnential health hazard. Crawl spaces also make comfortable homes to rodents, raccoons, opossums, and insects. These critters and creepy crawlers not only put holes in insulation, vapor barriers, and the structure under your home, they also pose a heath threat. Allergens, bacteria, and parasites from insects and vermin can make their way from a compromised crawl space into the airways inside a home. Don’t let crawl space damage get that far. Contact The Killers Crawl Space Restoration to schedule your crawl space cleanup in Portland. When you call the experienced crawl space technicians at The Killers Crawl Space Restoration for a crawl space inspection, we look in every crevice. Our crawl space cleanup includes everything from the insulation to the structural foundation. We check for proper air flow, look for leaks in the vapor barrier, and find cracks where mold might be hiding. The experts at The Killers also know how to identify insects, rodents, vermin, and animal activity. We offer full-scale pest control services as well as crawl space cleanup. Our licensed exterminators know how to rid your crawl space of the specific pests you have lurking there. After a full crawl space inspection we offer you a written evaluation of our findings. We discuss what we have found and recommend the best treatment and crawl space cleanup for your budget and your Portland home. Your crawl space cleanup is guaranteed when you call The Killers Crawl Space Restoration. We handle even the animal urine that has seeped into building materials. Every soiled or damaged section of your crawl spaced will be thoroughly cleaned, treated, and repaired. We also ensure that your crawl space is properly sealed and the appropriate air flow is not inhibited in any way. When we leave, you can rest assured your crawl space will be clean and the structure will be sound. You can also be assured that no health hazards will be coming from your crawl space into your home. At The Killers Crawl Space Restoration we guarantee our cleanup services and your satisfaction. We never squelch on quality. We offer services and products that are top of the line, while still being affordable. Call us today and see the difference we can make in your Portland crawl space cleanup. 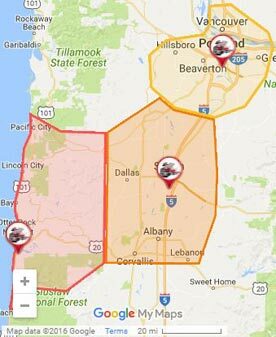 Contact us today to schedule your crawl space cleanup in Portland and the surrounding areas.